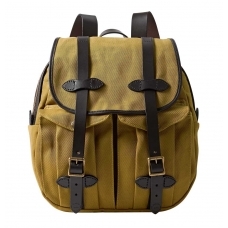 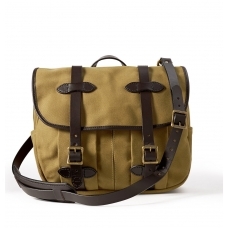 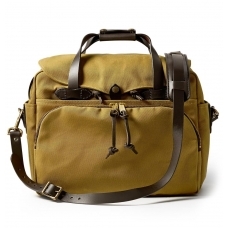 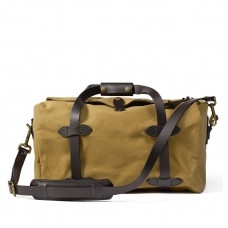 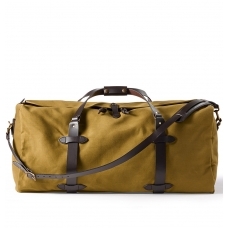 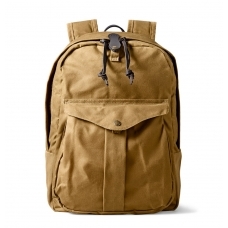 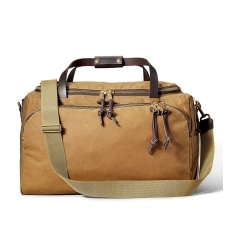 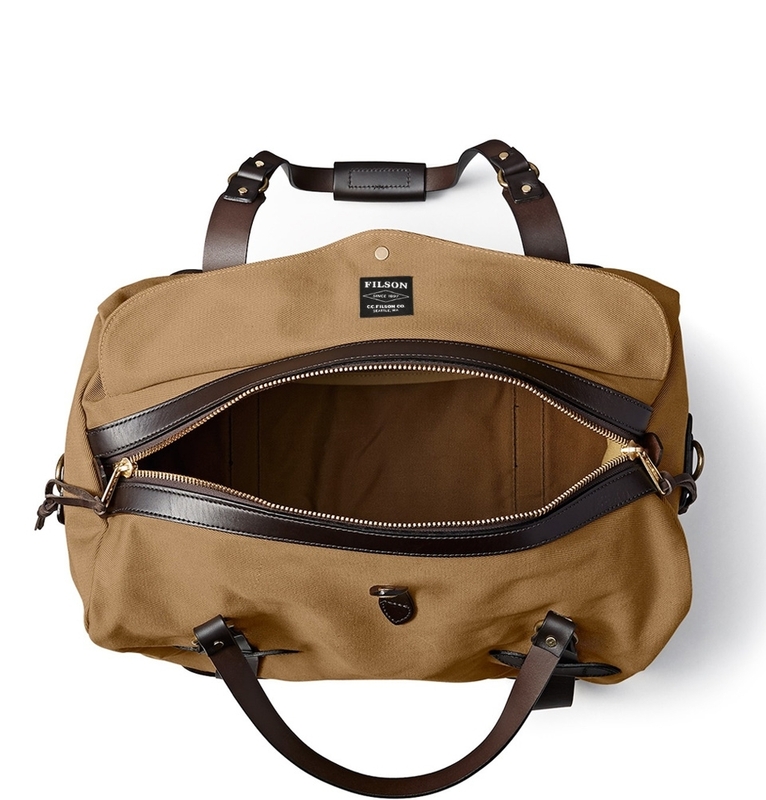 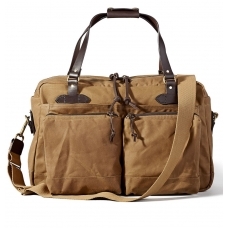 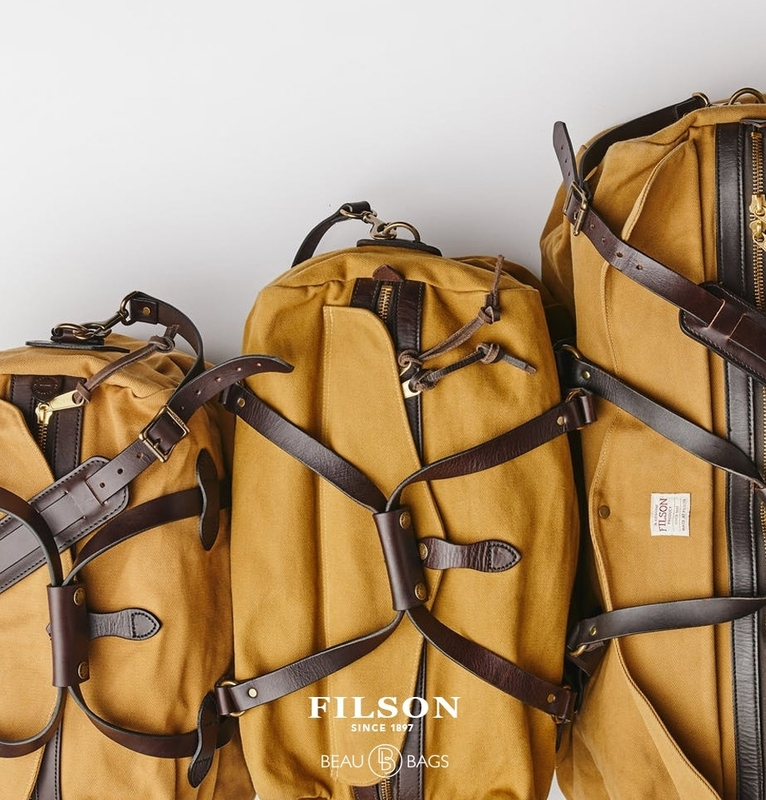 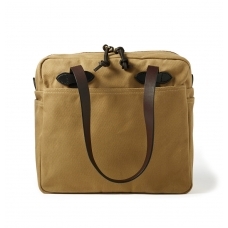 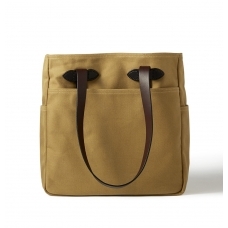 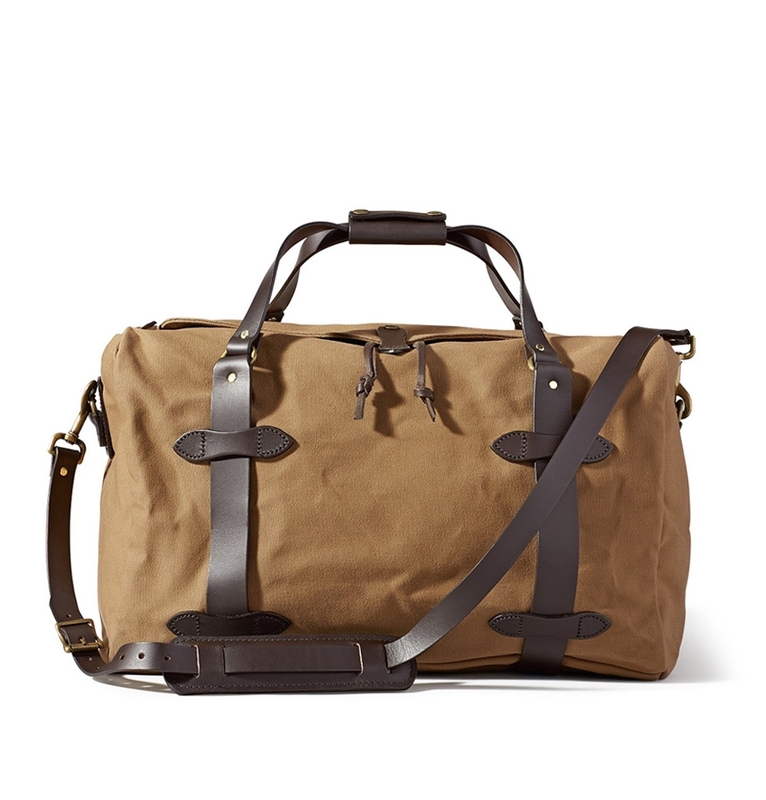 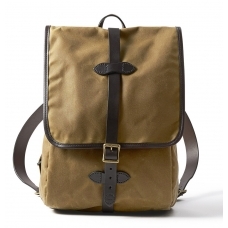 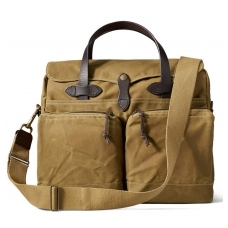 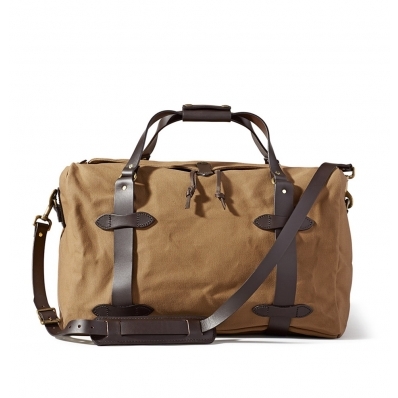 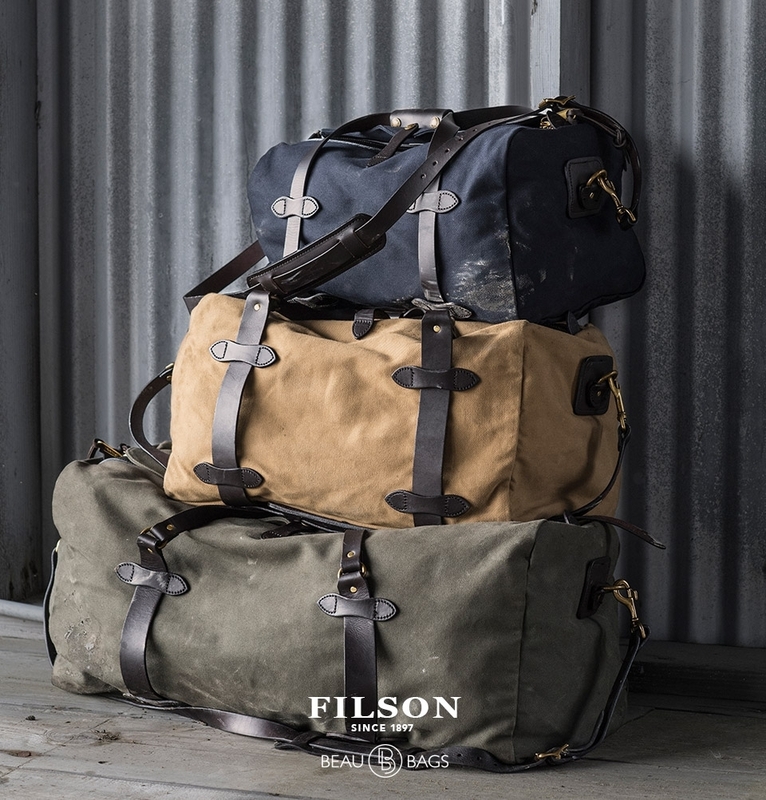 FILSON DUFFLE BAG MEDIUM TAN 11070325, made for heavy-duty trips. 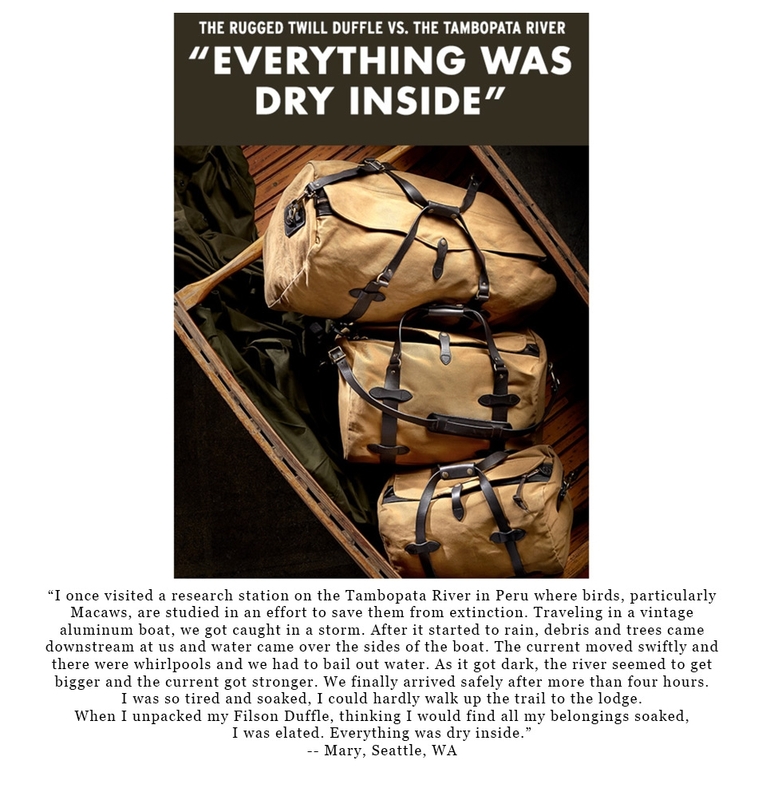 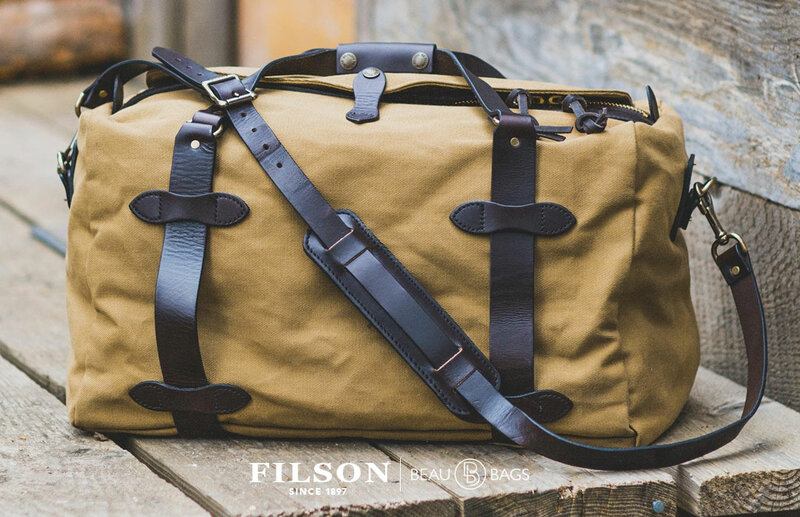 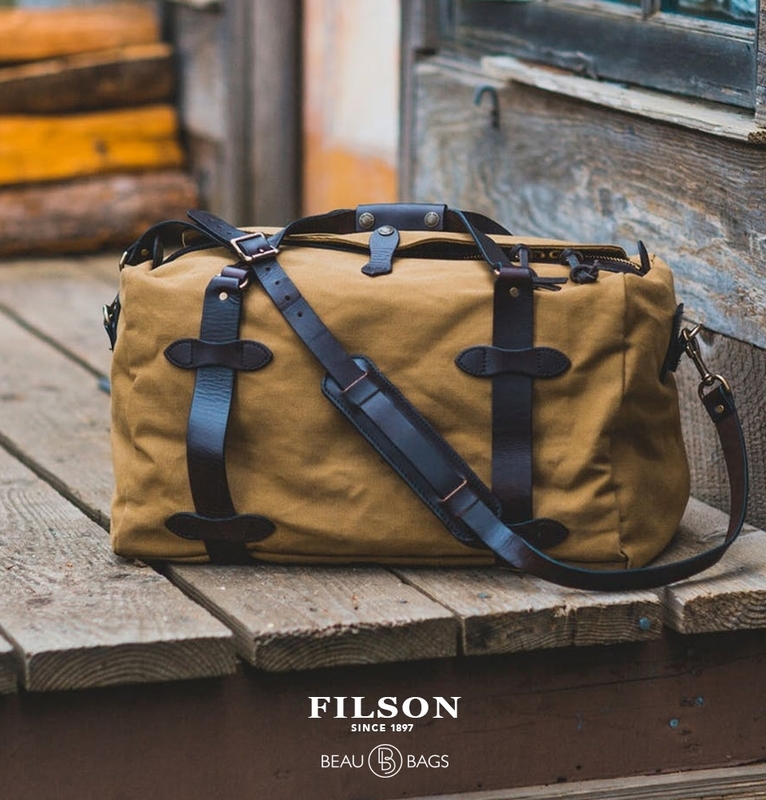 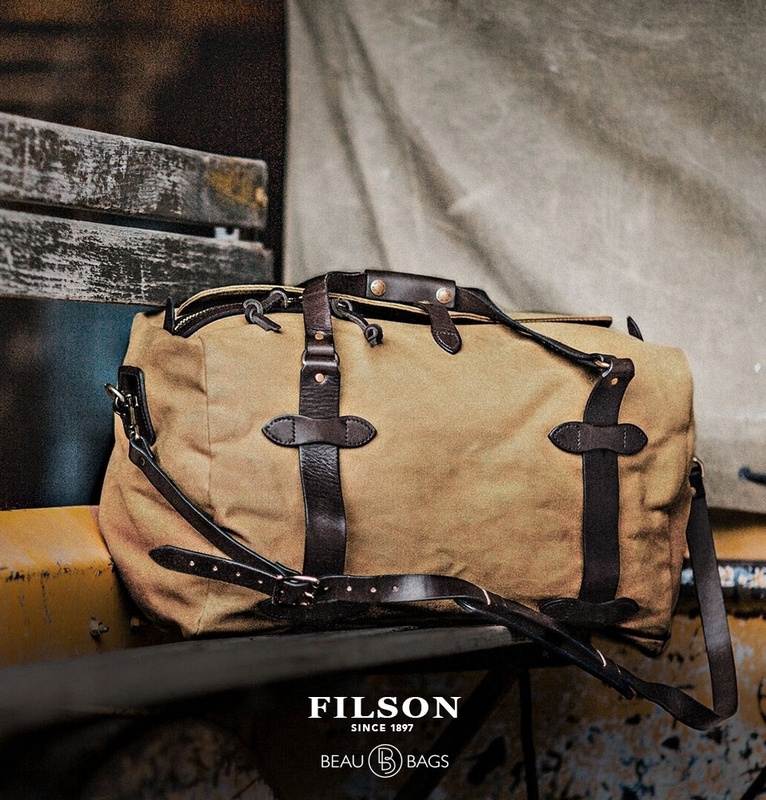 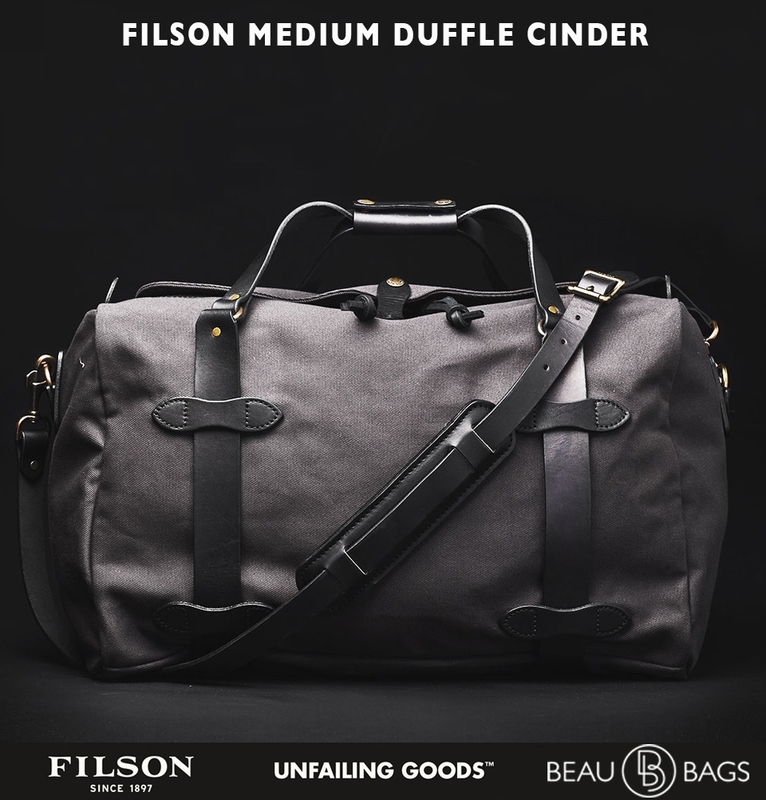 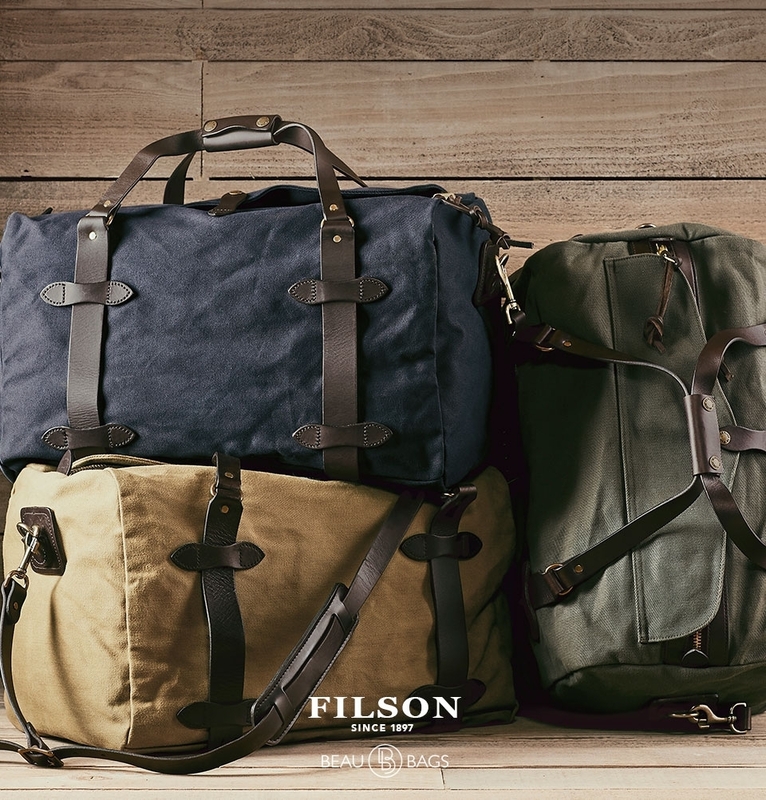 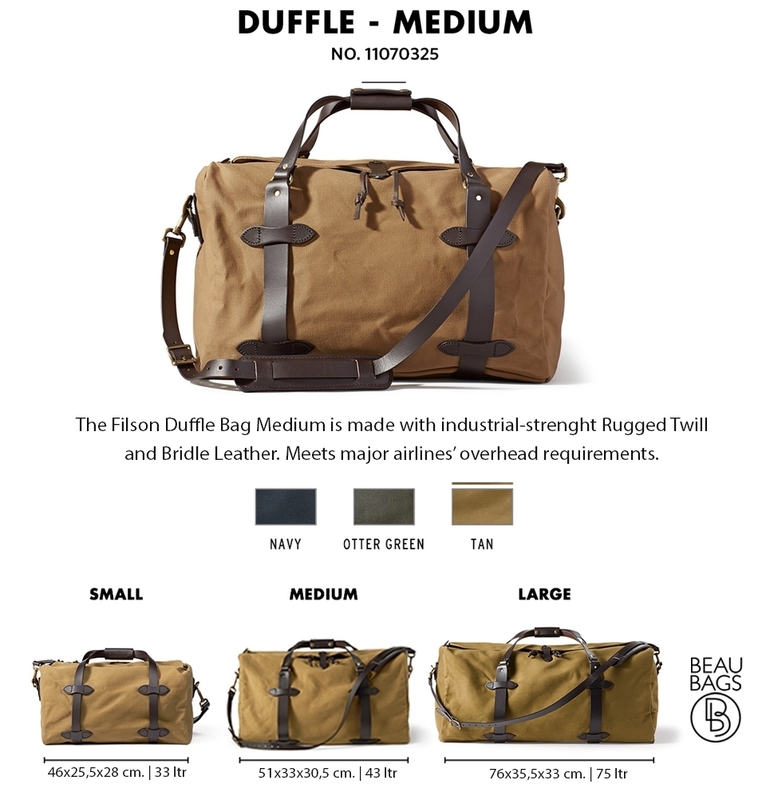 This Filson Duffle Medium Tan combine rain-resistant Rugged Twill and durable Bridle Leather in this durable duffle bag. 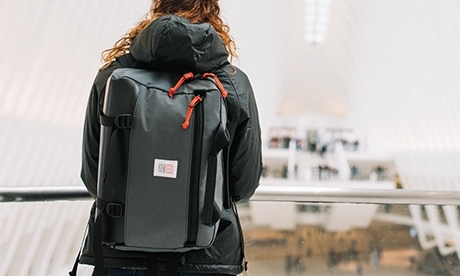 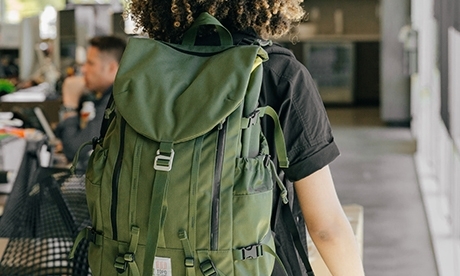 It's designed to meet maximum airline carry-on size restrictions, so you only need one bag for all of your adventures and you never have to check it during flights. 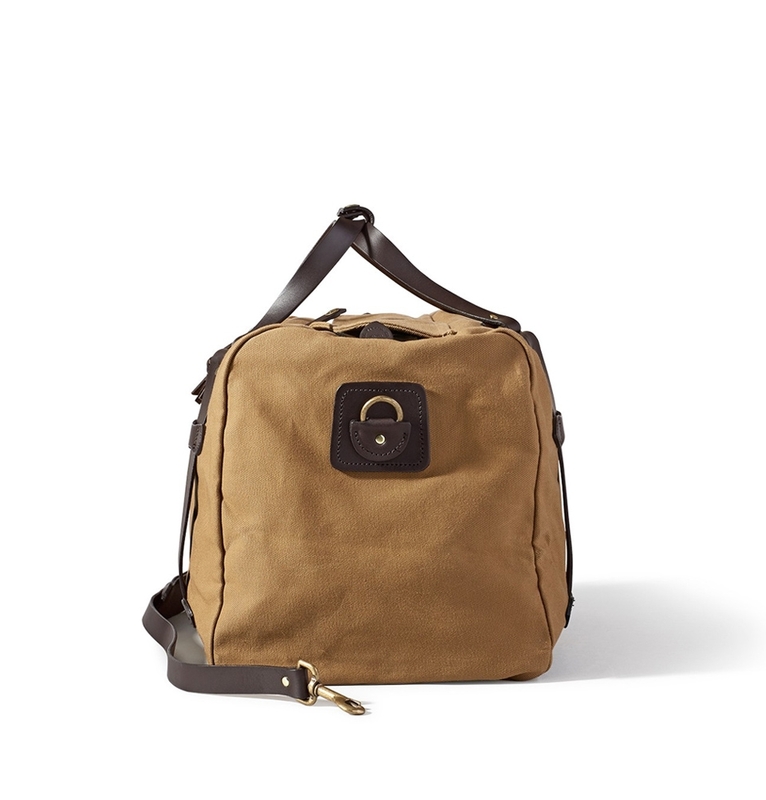 The rustproof brass zipper and storm flap closure offers added protection from the weather, making this versatile bag great for overnight trips of all types. 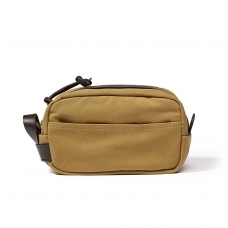 Interior pockets are made of dry finish Tin Cloth for added durability.